Cut up the kale into small strips or pieces. Heat 1 tbs olive oil in a deep frying pan over medium-high heat. Add the garlic and sauté for 1 minute until golden brown. Add the onion, red bell pepper, and mushrooms and sauté for 3 minutes. 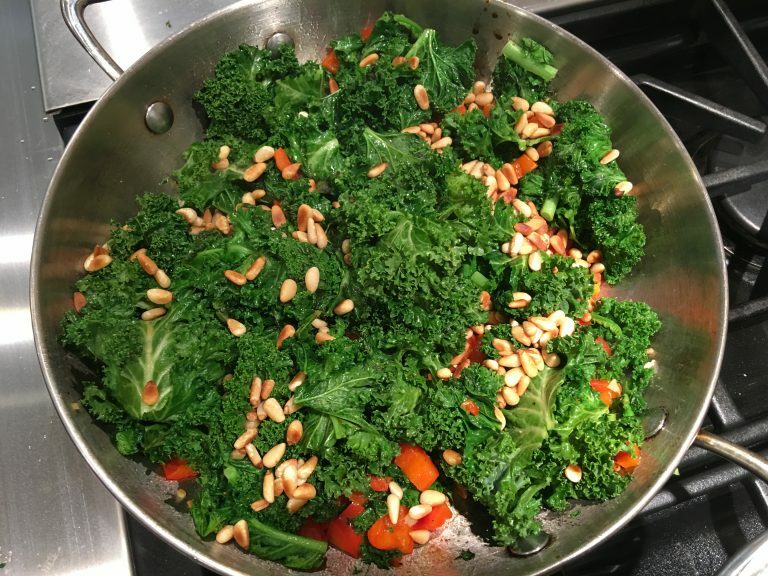 Add kale to the pan and stir to mix well with other vegetables. 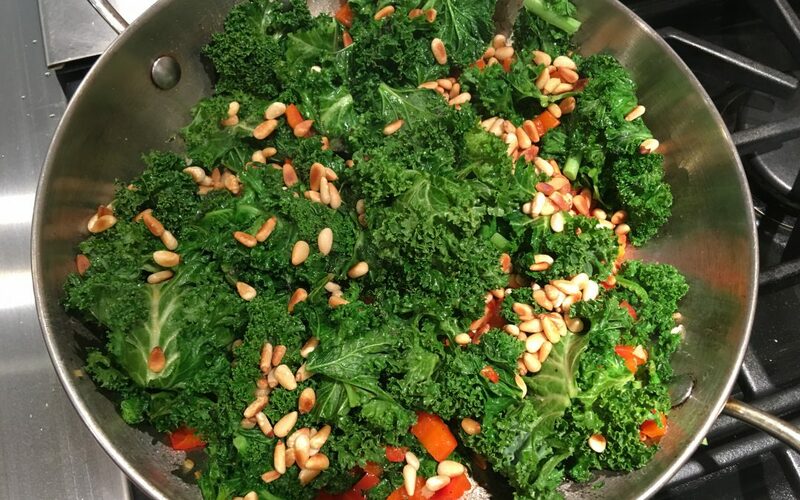 Cook for 2 more minutes until kale is wilted. Add balsamic vinegar, salt and pepper. Stir to combine. Turn off the heat. Stir in toasted pine nuts and Kalamata olives and serve.